On May 15, 1918, regularly schedualed air mail flights took off for the first time. Three vintage biplanes will retrace the route of CAM 8, from San Diego to Seattle, from May 13th to May 18th , 2018. 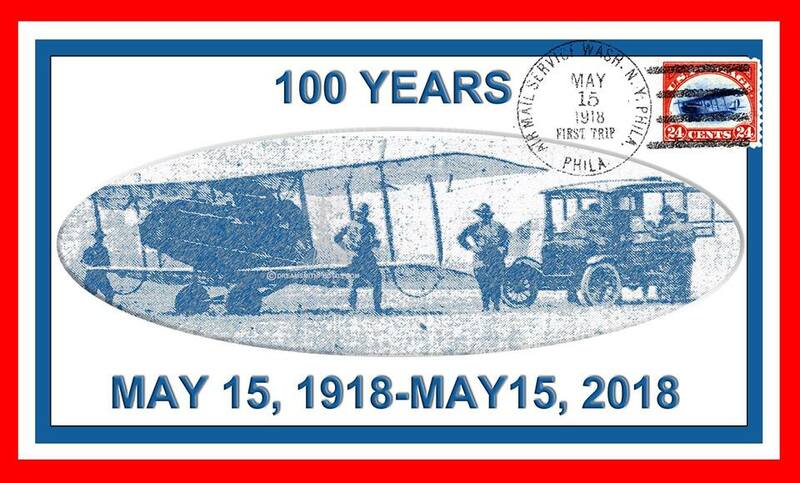 Join us for a fun leap back 100 years on May 19th as we unnveil a PA Historical Marker, near the Bustleton Field landing site to commemorate the famous flight. They will have a brass band, antique cars, paper airplane contests, history, flight, mail trivia, and more. In collaboration with the College Park Aviation Museum and College Park Airport, also known as the College Park Aviation Campus, are implementing a 16-24 month celebration of the Airmail Centennial. The United States Postal Service will honor the beginning of airmail service by dedicating two United States Air Mail Forever stamps this year.